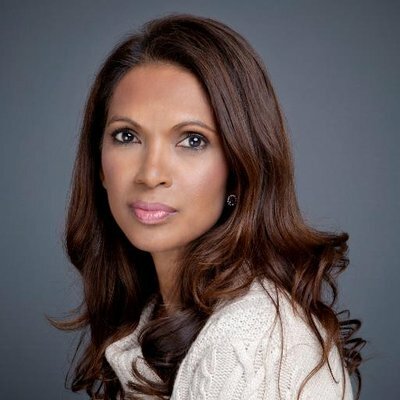 The British Gazette » An open letter to Mrs Gina Miller. You and I would make unlikely allies. Wikipedia states that you have been a Labour supporter and have/may have voted Liberal Democrat. I however, whilst a member of the Owenite SDP in the 1980s was a UKIP branch chairman in the 00s. The words “chalk” and “cheese” come to mind. However, I would suggest that there is one thing we have in common: to see that the United Kingdom is not thrown into the chaos of a “no deal” Brexit with all the ensuing civil, economic and societal commotion that would inevitably ensue. - Me: a change of policy with HMG indicating that it now seeks EFTA+EEA with continued membership of the EU’s Customs Union until such a time where the infrastructure (on both sides of the UK/EU borders) is in place for the UK to leave the aforesaid and be able to make those so called “trade deals” JRM waxes lyrical about! - You ? : abandon Brexit, repeal the The European Union (Notification of Withdrawal) Act 2017 (c. 9), and request the ECJ to rescind the UK’s Article 50 notification. Whichever course of action chosen, I think that both of us would agree that either course is better than the “no deal” alternative! A well respected and widely read authority on the subject of Brexit is Doctor Richard North who’s blogpost today again details the severity of the UK’s situation. So the question is this: What is to be done to stop a “no deal” Brexit! The European Union Referendum Act 2015 (c. 36) is ADVISORY. HMG has no legal requirement to act on it. We would suggest that in pursuing a course of action that will lead to an enormous economic cost, wholesale civil disturbance is not acting as a faithful and true Servant ought to do is in fact a breach of the said oath. This we suggest is actionable in the sense of seeking a judicial review as to the government’s actions to date and in particular it’s failure to give notice to leave the EEA. It is our opinion that HMG cannot simply quit the EEA by use of the Royal Prerogative. This is because the Declaration of Rights 1688 ratified into law by the Bill of Rights 1689 requires the Crown (HMG) to seek the consent of Parliament (both houses) for any action that has the effect of amending, making, repealing or suspending law – and quiting the EEA does just that! Thus HMG may well not have quit the EEA because that would require an act and they would have further problems. Thus, it might be the case that failure to quit the EEA is a deliberate ploy – to have the UK “crash out” but to have the UK economy saved by the “deliberate mistake” of the “EEA crash barrier” by failing to quit the EEA thus causing the UK to remain inside the Single Market! Of course, since the UK would not be in the EU and not having rejoined EFTA is position would be anomalous. However, “emergency” re-etry into the EU’s Customs Union would solve this – along of course with the Irish Border! If this is the case, how does that fit with being a faithful and true Servant? Hopefully it will result with the UK government to pursuing a course of action that will not result in a “no deal” Brexit – preferably by requiring HMG to pursue EFTA+EEA as a ongoing agreement and EEA+EU Custom’s Union as a transition agreement or by seeking to rescind Article 50 via repeal of the European Union (Notification of Withdrawal) Act. The choice would be down to HMG but political pressure may cause there to be a second referendum.